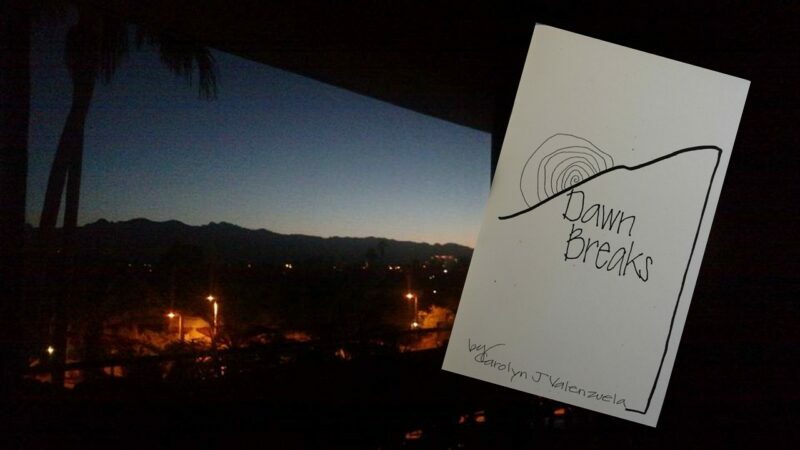 “Dawn Breaks” celebrates the sunrise. The patience required to endure the slow process of greeting the sun touches all the senses. By reading the book one will likely make time to schedule their own appointment with the rising sun. Elements of the physical and metaphysical combine to reveal the miracle of the new day. Allow the miracle that unfolds through the pages to lighten the day. Let the images spark the imagination with a keen sense of possibility. Carolyn J Valenzuela wrote and illustrated the book to resemble her own experience.